Scott C. Nolan devotes most of his practice to defending individuals who have been charged with DUI in Manassas, Prince William, Manassas Park, Gainesville, Haymarket, Woodbridge, Lake Ridge, Dumfries, Bristow, Warrenton, Centreville, Fairfax, Stafford, Chantilly, Leesburg, Ashburn, Sterling, Herndon, Reston, Alexandria, Annandale, and Arlington. The Difference Between A DUI And A DWI Ticket? 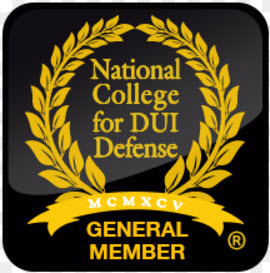 The Difference Between A Regular Lawyer And A Member Of The National College For DUI Defense? What Other Types Of Law Your Potential DUI Lawyer Practices? What Percentage Of Your Potential Lawyer’s Caseload Is Devoted To DUI? How Long Your Attorney Has Been Handling DUI Cases? How Many DUI Jury Trials Your DUI Attorney Has Handled? How Many Federal DUI Cases Your DUI Lawyer Has Handled? Who Will Be Handling Your Case Once You Hire a Law Firm? How Much Effort Your DUI Lawyer Will Put Into Your Case? The Issues And Obstacles In Your DUI Case? How To Determine The Likely Outcome Of Your DUI Case? How Much Your DUI Lawyer Is Going To Charge You? Why Your DUI Lawyer Practices DUI Defense Law? There Are 35 Ways A Lawyer Can Lose Your Winnable Case? That Most DUI Cases Begin With A Traffic Stop? That Many DUI Arrests Are Not Done Properly? You Should NOT Do A Field Sobriety Test? If you’ve been charged with a DUI, you could be facing serious consequences that will impact your life (and family’s) for years to come. You need an experienced DUI lawyer NOW. Please contact me at 703-361-0776 or by CLICKING HERE for a free and confidential conversation about your case.